The machines of our sales program can be rented here, too – and the other way round: our rental machines are also available for sale. Although renting is a more regional business section, we want to let our international partners also know about our activities in this section. Unlike at many of our competitors, our machines for rent actually are standing at our place in Oberzell. That means we are not just acting as an agent, but in normal case are offering machines we do posess. And naturally we maintain and repair them on our own in most cases. Because we prefferably are using the same brands, makes and models in our rental program that we are offering for sale, our customers do profit – like we do – from the synergy effect: we better learn to know these machines and therefore can give you better advice. If there are any questions concerning the selection of the machine or attatchement which will fit best for your individual requirements, don´t hesitate do ask our sales managers for their advice and choice. If you want us to do so, we will give you the necessary instructions for handling and maintenance of the machine to rent. If by any reason it´s not possible for you, to pick up the rented machine at our place or to bring it back afterwards, we offer you the transportation to and from your construction site as an additional service. Also we can offer you the cleaning and refueling of the machine, if you ask us to do so. If it once – despite all attention – comes to malfunction or defects during the machine´s application, our On-Site-Service is ready to help. The mechanic comes – whenever possible already with the needed spare part or with a back-up machine – to your construction site, so that you can keep on working as soon as possible. You are able to cover your peaks of requirement or only rent the rarely needed machines, without the need of increasing your own machinery. You can avoid cost intensive investments and instead let your capital or credit work positively for your company in other place. You do profit from transparent and foreseeable machine costs, when calculating your own jobs. 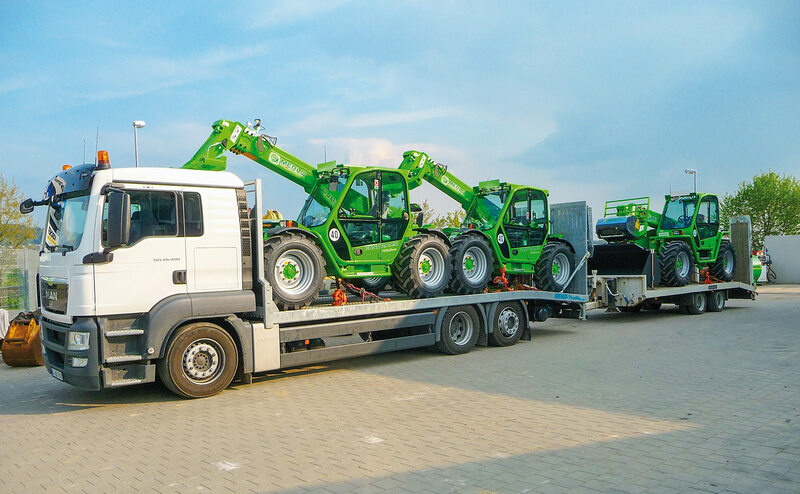 Totally to your individual requirements you can have well maintened, current and quickly operational machines and at the same time take advantage of the extensive service offers for our rental customers. Please reserve the required machine to desired appointment – via phone, fax or e-mail. We will confirm the reservation as soon as possible. You support us with the disposition of our rental machines, if you specify the expected length of stay at time of booking. If you may not estimate the duration of need accurately, the approximate time will already help us. Rental prices are ex stock, additional VAT. If you ask us to do so, we will deliver the rented machine or equippment to your company´s place or your building-site. For that service, we will charge 60, – € / hour, without further route surcharge. 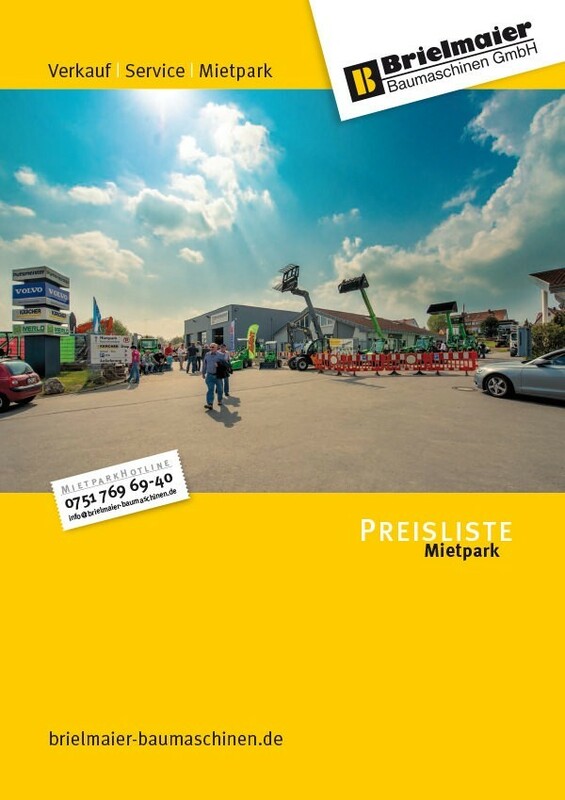 You pick up the rental machines or equippment clean and fully refueled at our place in Oberzell and bring them back at the end of the rental period in same state. If this is not possile for you by any reason or too complicated, of course we can do the washing and refueling. For that we charge 70, – € / hour machine cleaning and the fuel to market price. All rental equipment are insured against mechanical breakdown by us. In case of damage to the tenant shall assume the deductible (currently 500,– € per occurrence). However, there is no liability insurance on our part for the rented machines. Please let our staff carefully instruct you in operation of the rental machine. The rental machines are serviced by us in compliance with the recommended intervals. Please give us a call, if such kind of service is required during the rental period. As a tenant you take a certain duty of care to our property. Please control liquid levels of hydraulic- and engine oil and coolant. The tenant is also responsible for daily greasing of bearings and joints. With pick up or delivery of the rental property, a deposit or bond in the amount of the expected rent is due. In case of long term rental at least in the amount of 1000,– €. Please have this amount available in cash. The definite invoice will be done with the return of the rented item by offsetting down payments and/or deposits. Machine and equippment rental is done on a daily base. These ratings are based on 8 hours / day. When significantly exceeded, we charge in 1/8 of daily rent for each commenced hour. Basically our terms and condition of business are aplied. You can read them here (unfortunately only in German language) and they hang out in our bureaus. We will also hand them out on request. All prices are in Euro, netto, additional VAT.